Looking for places to explore without worrying about the weather? Tucked in the Science Building on the University of Wisconsin – Stevens Point campus you will find the Allen F. Blocher Planetarium. The Planetarium, and accompanying Observatory, is open to the public for weekly programs during the school year. Find opportunities to gaze skyward during interactive presentations using a variety of telescopes. 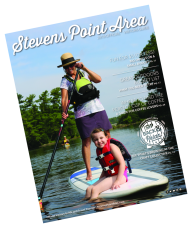 The Stevens Point Area has a number of museums worth exploring. Start by heading to the University of Wisconsin - Stevens Point&apos;s Museum of Natural History, housed in the Albertson Learning Resource Center (also known as the Library on campus). For more, plan a stop at the Wisconsin Conservation Hall of Fame at the Schmeeckle Reserve. Discover the tastes of craft brewing with the distinct local breweries, wineries and distillery that make up the Central Wisconsin Craft Collective. Explore local flavors at Kozy Yak Brewery Winery in Rosholt, visit Sunset Point Winery in downtown Stevens Point or grab a seat at Great Northern Distilling’s mixology bar. Find more local flavor at the Winter Farmers Market through March. Create your own masterpiece; take a class at the Blue Bead Trading Company, plan an afternoon at the Clay Corner Studio or visit the Central Wisconsin Children’s Museum. The Blue Bead, a small specialty bead store in Downtown Stevens Point, offers classes featuring various projects. Clay Corner Studio offers pottery painting and glass fusing. If you are traveling with kids, don’t miss the art room of the Central Wisconsin Children’s Museum. If live performances are more your speed, there are no shortage of venues to get your fill. Grab a ticket and a seat for upcoming performances. with a variety of local productions to national acts. Check out the full events calendar for a complete list. Looking for places to explore to enjoy the winter season? Try gaining a little more speed by exploring the downhill skiing at Standing Rocks Park, which will debut the new snow-making equipment this year. New to skiing? The park offers equipment rentals for downhill and cross-country skiing as well as snowshoes. Call 715-346-1433 for snow and trail conditions. Grab your snowshoes and explore the connection between outdoor recreation and the arts on the ½ mile Stevens Point Sculpture Park Trail. The 20-acre park provides stunning views plus nature with a distinct backdrop of regional and national artwork. More snowshoe trails can be found at the George W. Mead Wildlife Area, Ice Age Trail and Standing Rocks County Park. Looking for something different to do with the family this year? Check out the horse-drawn sleigh rides available at Wild West Campground & Corral, when the snow flies. Slow down and enjoy time with friends and family as you ride through the quiet winter woods by horse-drawn sleigh. The Plover River Trail, a segment of the Green Circle Trail, offers a groomed 6.2-mile loop for cross-country skiing when the conditions are present. The segment, designed for classical (stride) skiing, is wooded and runs along the Plover River and also offers a short beginners skate trail. For more trail to explore, Standing Rocks offers groomed trails for both diagonal and skate skiing. 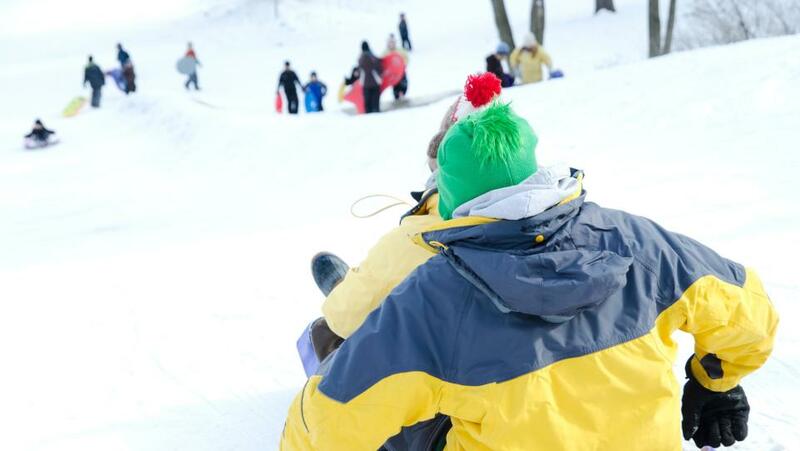 Grab the family and bundle up for some winter fun at Iverson Park. Bring a sled and enjoy the sledding hills, with one specifically for young children. Or, try the toboggan runs. Toboggans are available for rent, by the half or full hour. The park also has a lighted ice-skating rink and warming house.